Ab-solutely Pilates offers individualized private and duet session instead of large multi-level group classes. Every client receives individual attention and each session is designed to meet his or her fitness goals from the person trying fitness for the first time to the professional level athlete. With 18 years experience in Pilates and 20 plus in fitness, Devra will make sure that your experience is both fun and rewarding. Devra is certified through Polestar, The Physicalmind Institute, Colleen Glen Studios and Alternative Fitness (both mat and studio series). She is also licensed in Fletcher Towelwork and holds certification in personal training and group fitness from the American Council on Exercise (ACE). She is a certified orthopedic exercise instructor and has an additional certification in The Rossiter System of pain management. She has experience working with people who have never exercised all the way to professional athletes and ballet dancers. 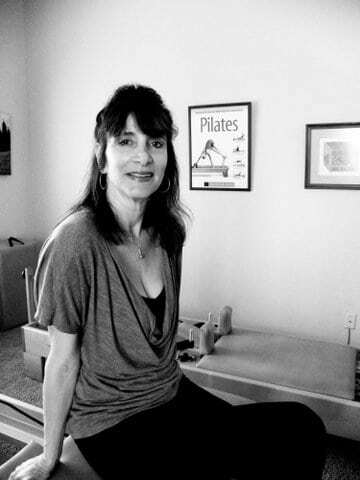 She has been teaching Pilates since 1999 and has worked with a large variety of clients. There are many benefits from Pilates including more flexibility, greater strength, improved posture, flatter abs, feeling of well being and being able to do everything you already do only better. It’s one of the best anti-aging fitness programs available today. The Rossiter System involves two-person stretching that not only alleviates pain but can prevent its re-occurrence. It offers a series of powerful and effective techniques for addressing structural pain and restriction of movement at its source – the connective tissue system. You will experience noticeable looseness in your joints with every session. Ab-Solutely Pilates is a fully equipped Pilates studio in Huntington Beach CA designed for individual and semi-private sessions. It offers a quiet and peaceful setting without loud music and big classes going on while you work out. Ab-solutely Pilates offers individualized Pilates training designed for each client to help them reach their fitness and wellness goals. Each client has a personalized exercise plan that may also include daily homework to maintain the benefits of Pilates between sessions. Devra is truly amazing. I highly recommend her. She cares about her clients’ health and fitness goals. This is the one exercise class that benefits both me and my husband. We enjoy taking the sessions together and we appreciate the private instruction and individual attention. I came across Devra’s information while I was recovering from my second hip replacement, and after spinal surgery about 18 months prior. 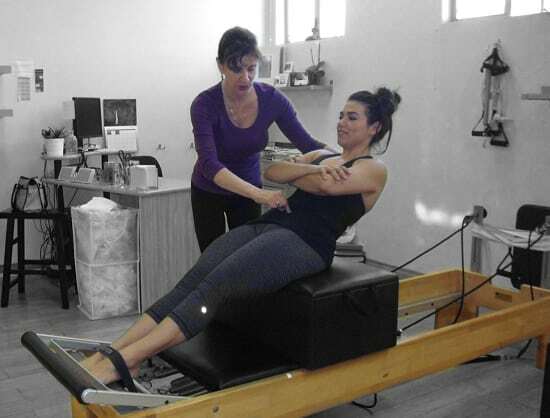 After my extended injury and recovery periods I was hesitant about taking on pilates but Devra was very careful to evaluate me and continuously moderate exercises to avoid injury while strengthening my core and helping me feel “whole” again. I was very comforted by her extensive training and ongoing education to bring me the most effective and current approaches to my issues. She’s a true professional who has a real mission to help people. Thanks Devra! I’ve worked out my entire life, but after a certain point, I didn’t feel I was getting stronger or leaner. 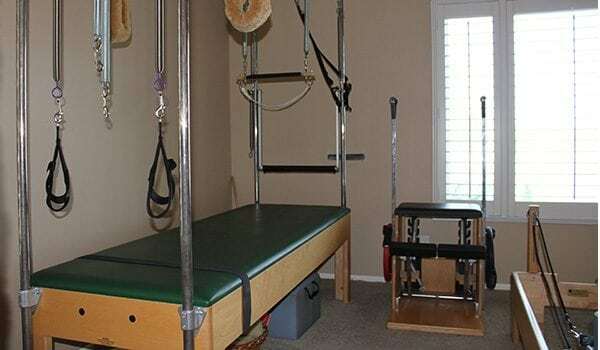 After researching, I found Pilates through rehabbing an ankle injury. Since then, I’ve never looked back. I started taking a group Pilates class with Devra about 8 years ago. I have been going twice a week ever since. What I like about her style is that she never gets boring or predictable and she pushes me but knows my limitations and always keeps my health in her first concern. I had major back surgery a few years ago and after I was able to return to light workouts, I knew she would be my resource along with physical therapy. Her attention to detail really helped me to regain strength and flexibility. Anyone can do this workout. The only limitations are your mind. She will customize everything to fit your specific needs. I appreciate everything she has done and is still doing for me! Mat class, duet, trio, and private session – all fantastic! Devra gives individual attention in every workout. I’ve been exercising with her guidance for several years and am enjoying good health, flexibility, and feel strong. I always leave feeling stretched, worked out and mellow. Great for everyone of any age.